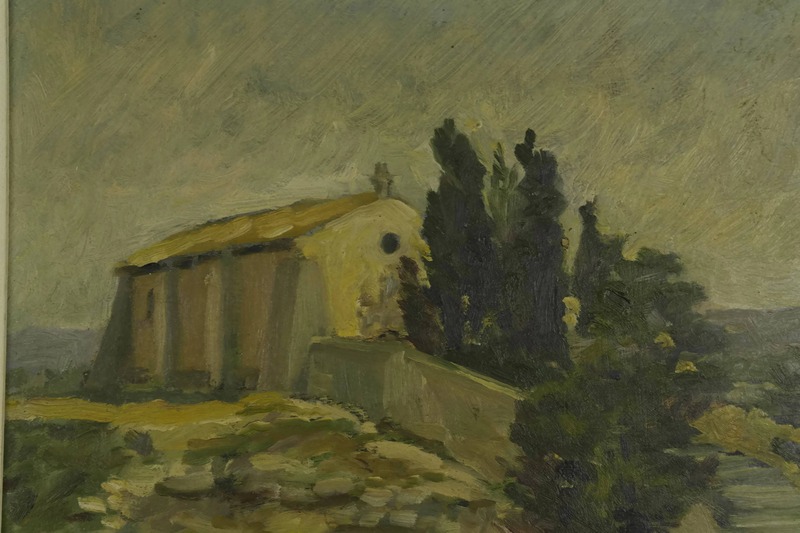 French Country Church Painting by Severin. 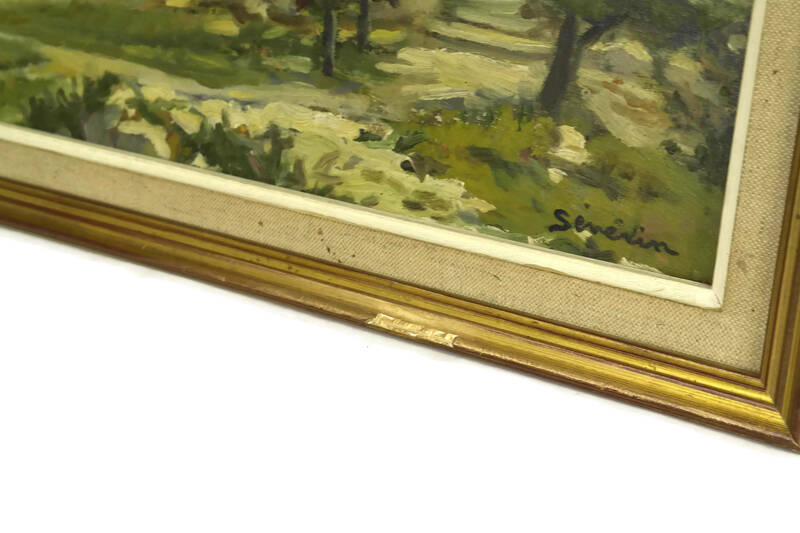 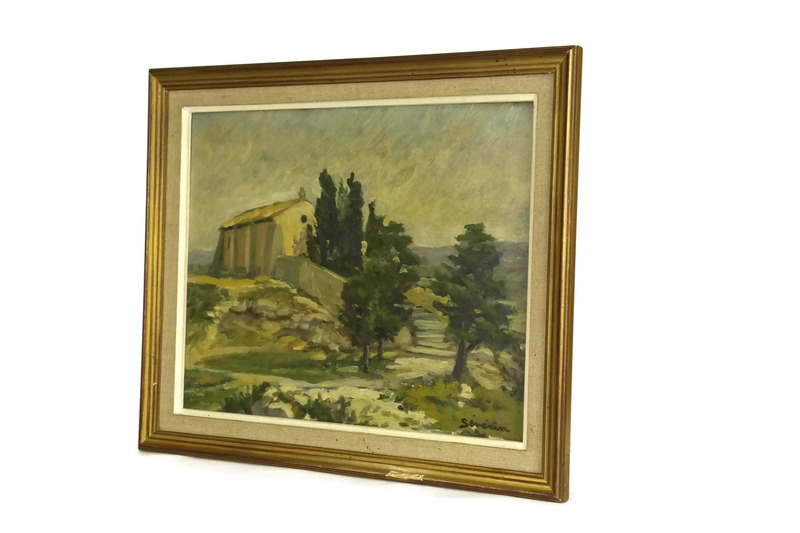 A vintage painting dating to the 1950s by the French artist Severin. 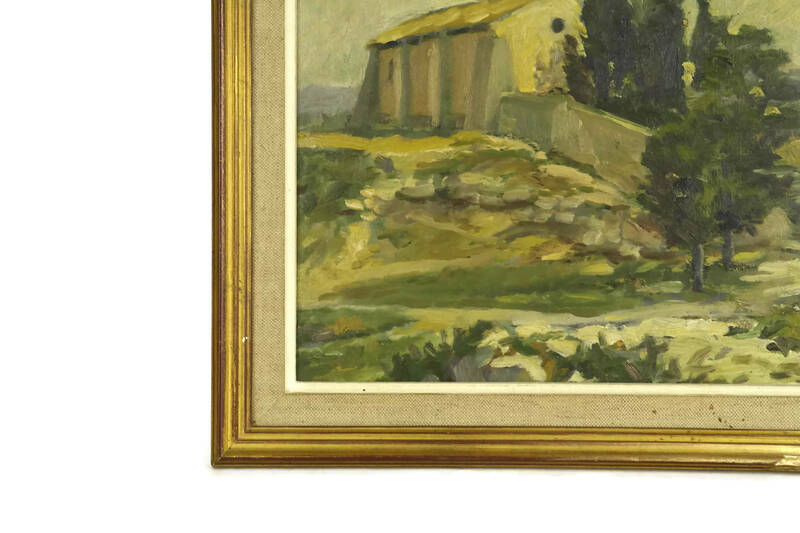 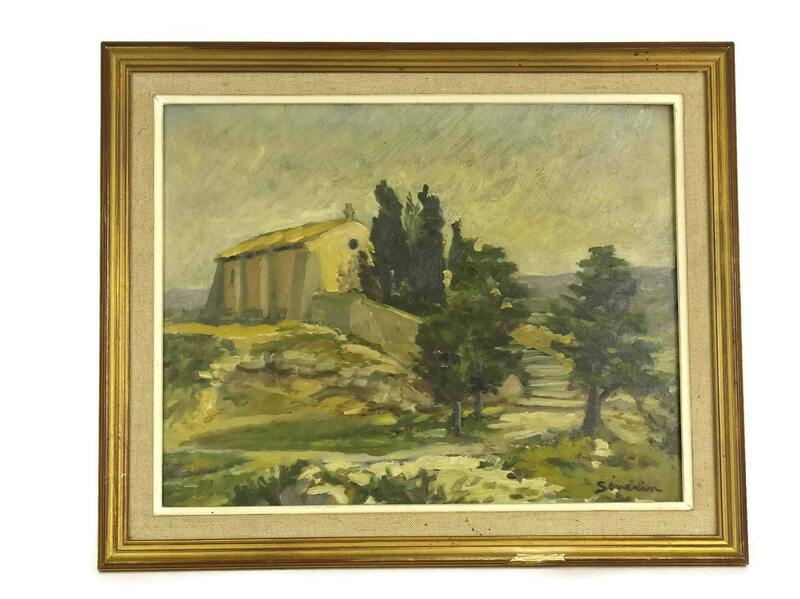 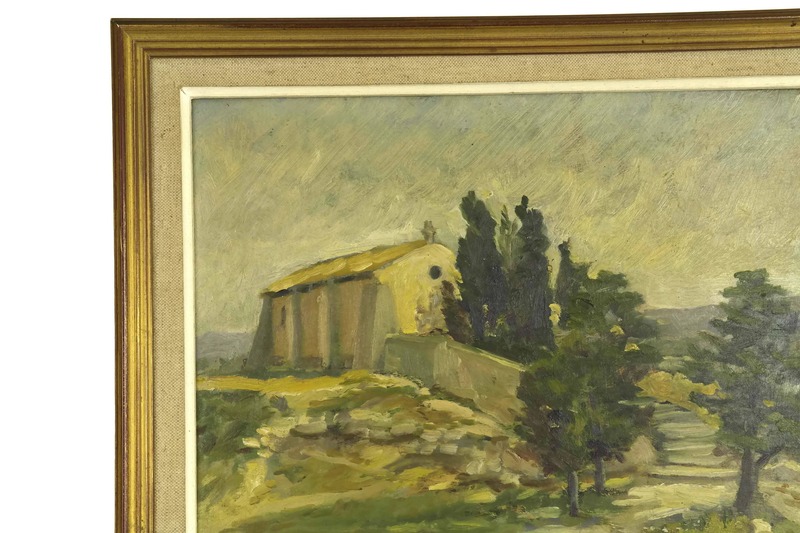 It portrays a scene of an old country church in the south of France in a hily landscape surrounded by trees. 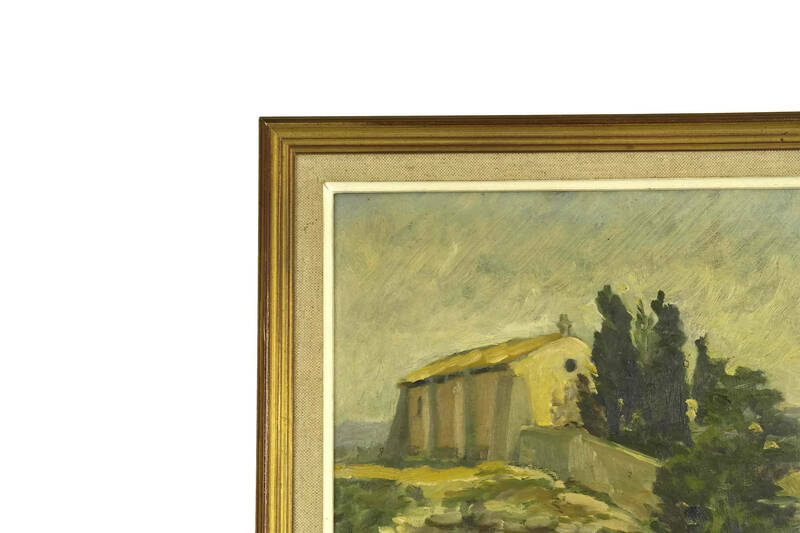 The artwork has been painted on a wooden board in an impressionist style with a warm palette of oil paints. 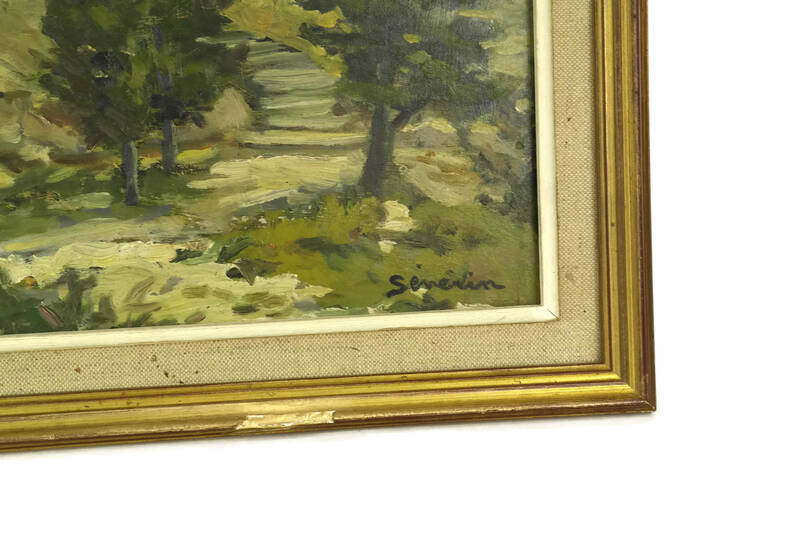 It has been framed and signed by the artist. 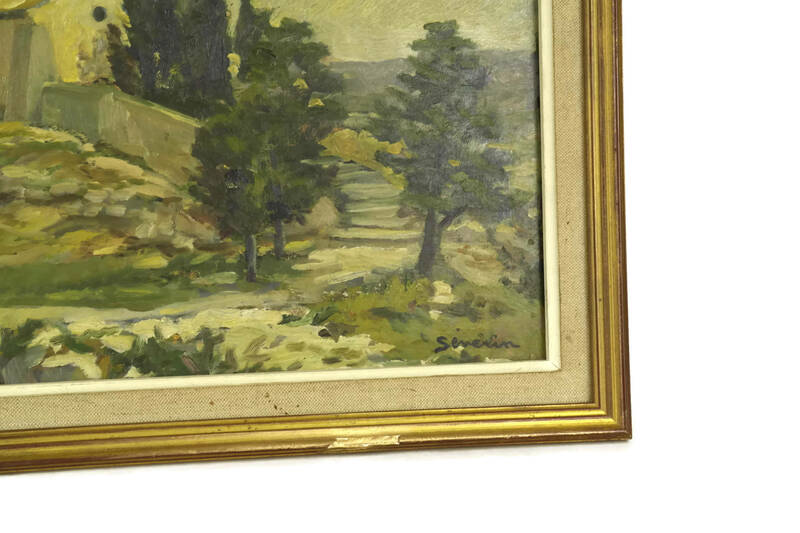 The painting is in very good condition with somes light signs of age. 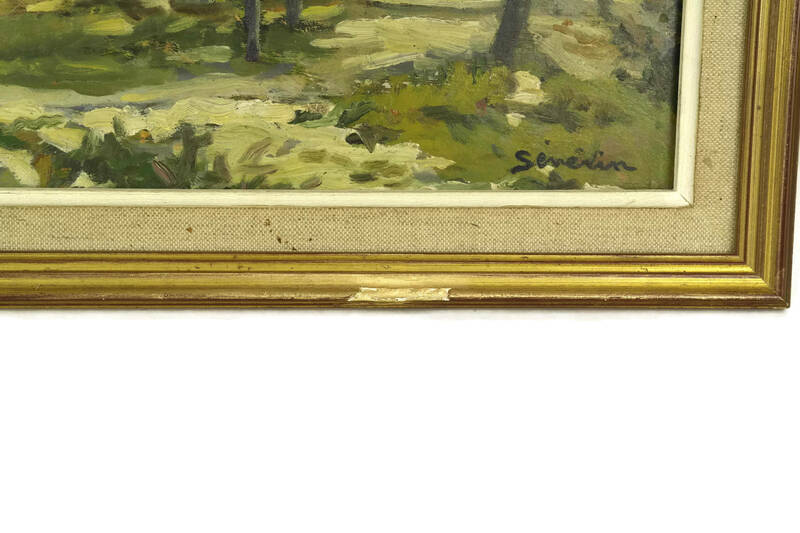 There is a flake to the bottom of the frame.